How similar in sound—prison and prism—yet they couldn’t be more different. The one restraining and confining (the light), the other dispersing and reflecting (the light). Prison and prism. For me these two images represent transformation of a dark passage into a lighted one, and summarize the path I’ve been on. It feels right to share this at the beginning of a new year when a whole new phase is opening up for us. One that will bring more openness and light into the world. 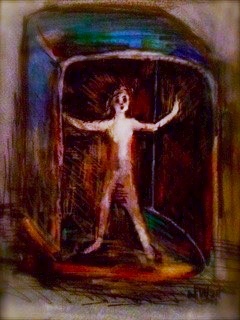 The dark memory of being imprisoned began with a recurring nightmare when I was eight years old and dreamed I was trapped in a small steel box with water pouring in from a hole in the corner. It was completely dark in the box. There was no way out. I knew I was going to die. And then I woke up, always in a cold sweat, and always relieved and surprised to find myself still alive. I called it the “no-exit dream,” I think because of Sartre’s No Exit on the coffee table in our living room. In later years I learned about the life of the soul, and how the soul might flit in and out of the body when we’re small children. But by the age of eight the door closes and we’re in there for the duration. I thought the dream might have stemmed from that, from the feeling I was—or rather my soul was—imprisoned in my body. It had not been a good feeling. It had been a scary one. Calling for an acceptance of death when I was still a child, alone in the dark. Still later, my thoughts about the dream and the box of death and the water changed again. This was because I had turned to writing memoir. And after five years of sifting through the memories, making connections, seeing experiences and dreams from the long ago past as part of a continuum of an awakening consciousness, I was able to make new connections. Come up with something that completely startled me and yet made total sense. Namely a child who had been in a plane that was shot down over the Bay of Biscay during World War II. So many details of her story rang a bell that I knew this plane was the steel box that had haunted my dreams in childhood. Yet, as much as I believed it, I was hesitant about introducing the idea of reincarnation into the memoir. Years went by while I dithered. Then finally, when it came to seem a matter of believing in myself no matter what others might think, I put it in. The act of including it was as if I’d unlocked a door. For right away, as soon as I decided to go with the story of reincarnation, I had a new vision. Not a dream but a vision. In this vision the steel box, the cage of death that had been the bane of part of my childhood, was transformed into a cube of light! A lighted cube floating in space, open in front and back. Not only was it no longer a dark prison—it was colored with all the colors of the rainbow—and filled with white light! A colored cube of light, inside and out. This fifty-year saga culminated shortly before the book was published, when I met Rainbow Light Foundation online. It was the Law of Correspondence at play, which I saw as the readiness to come forward with my truth (and the light of my truth). It was like arriving at the end of one rainbow, only to find another. 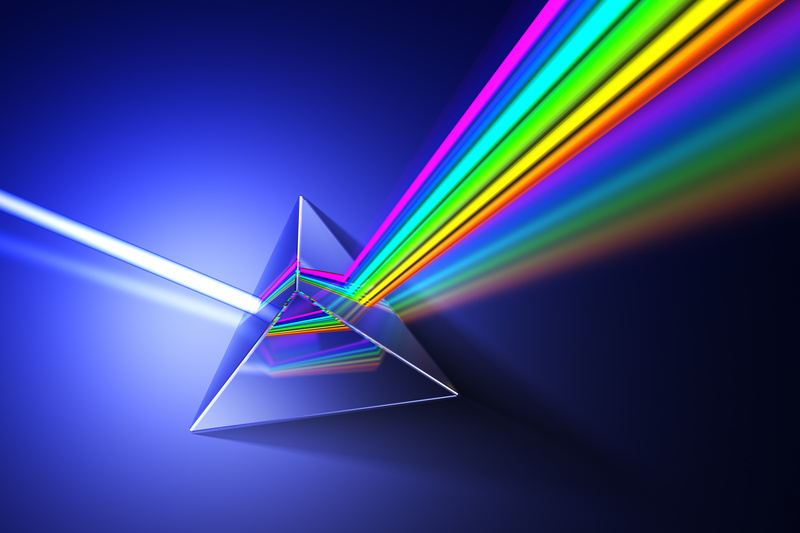 For now I was aligned with rainbow light. Light is a frequency, colors are frequencies, and the new vision, an image representing my openness, now permeated my consciousness and drew me towards those with a similar vibration. The Rainbow Cube was a sign that the past had been healed. I was no longer hampered by fear. The willingness to bring my story to light brought me in touch with others reflecting the light. When mind and spirit are in synch, it all falls into place I think. 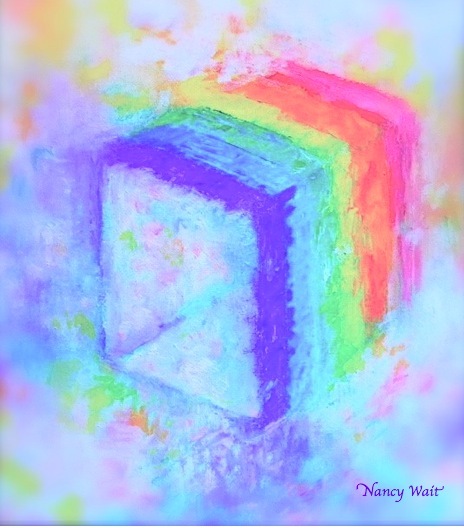 This entry was posted in ART, Art of the Path, Memoir, Transitions and tagged alchemy of memoir, alignment, Art, art and ascension, inner freedom, Law of Correspondance, Nancy Wait, psychic memory, Rainbow Light Foundation, the nancy who drew, transformation. Bookmark the permalink.